Now's the best time to buy! Boats, Boards, Kayaks and more..
Save before prices go up in the Spring. Check out some of the deals online or you can call or email for the best deals not listed. We do have many 2018 and prior year kayaks, boats, and boards left to sell. Lots of our specials are too low to list on the web. Contact us to find out more. We have foils and foiling boats in stock right now. Again - Foiling is all over the sailing scene. The next America's Cup is going to be sailed on fully foiling monohulls that look like funky water bugs, big foiling multihulls are setting crazy distance records, and people are putting foils on everything imaginable. I don't know what the future holds, but foiling with sails will play a part. 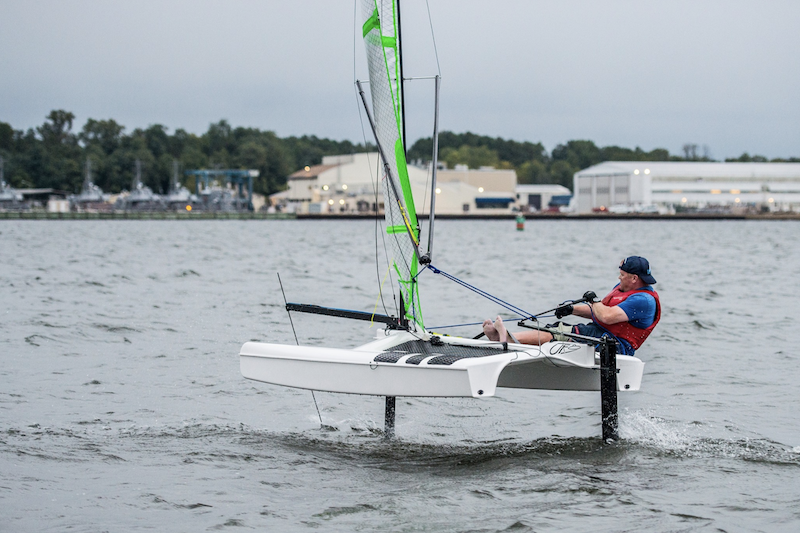 Hobie has updates and new Mirage models for 2019. The super versatile Compass now has a big brother. The Compass Duo tandem is a perfect family boat. The Compass Duo comes equipped with the proven Glide Drives to make it the most affordable tandem Mirage in the line. 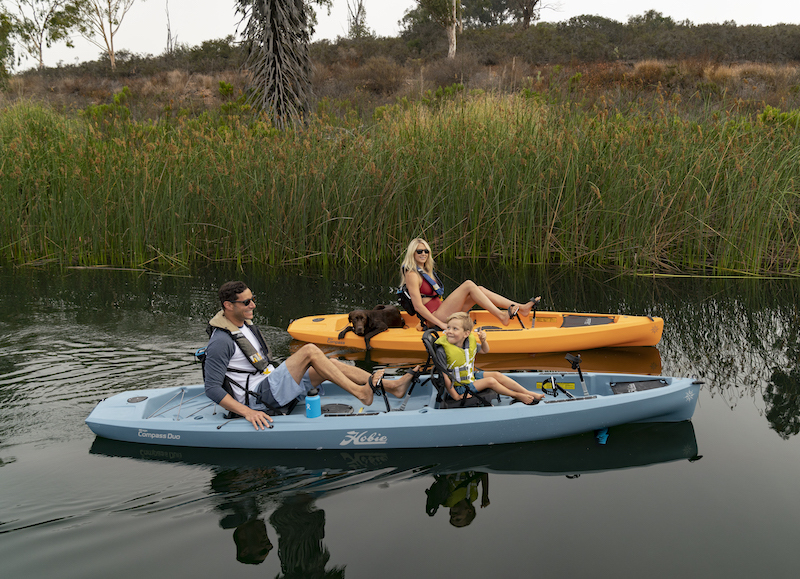 The most popular kayak in the line has been completely redesigned for 2019 as well. The new Mirage Outback truly is the SUV that can do it all. Coming this Spring and due to sell out fast! It's been almost 20 years, but we are again a Fanatic Dealer. Fanatic boards have been great for many years, but now that they have a good US distributor, we've decided to add the line to our showroom. Made in the best factory in the world and designed by some of the most passionate in the world. 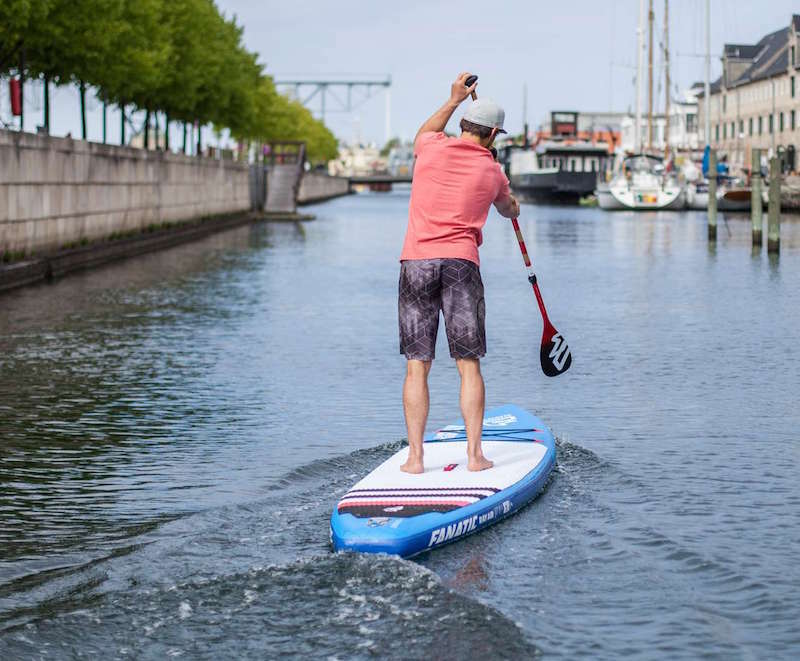 You can check out some of the choice windsurfing and paddling boards already in the shop and we'll be adding more this Spring. Closeout models are hard to beat! 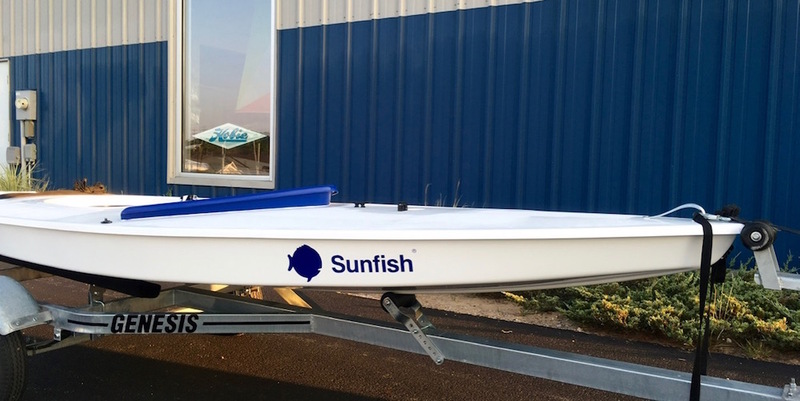 We have finally been able to get new Sunfish this year. Deliveries are still a bit sketchy from LaserPerformance, but new boats are available, and they look great! Contact us as soon as possible. We even have a Blue Weta here for sale. All of our Wetas will be the new lighter foam cored hulls from here out and if you want something to stand out from the standard gray boat, check out this beautiful blue. Act now! We sold out of the Zest twice last season! The Zest is the answer for many people looking for a small boat with lots of versatility. It's got capacity for teaching and enough performance for fun. Easy to rig, launch, and sail. 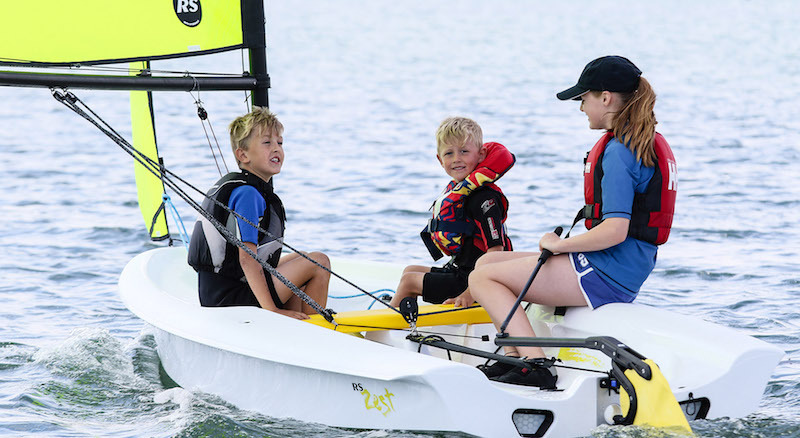 Features like a pivoting centerboard and hinge-style mast stepping system that are unlike most small boats in it's class really make it stand out. Get an order in now for Spring delivery.